I rarely feel the need to finish one book before I review another, but since I'm always listening to one audiobook as I read another, I sometimes find uncanny connections. Such was the case as I read Barbara Kingsolver's latest novel Flight Behavior as I was listening to Age of Miracles by Karen Thompson Walker. 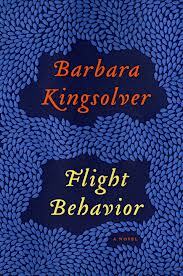 Kingsolver's novel, which has probably gotten more press than Walker's, is set in a rural area of Eastern Tennessee as millions of monarch butterflies have diverged from their usual migratory patterns, landing instead on the property of the protagonist Dellarobia Turnbow. Frustrated by her life, twenty-eight with two children and a less-than-challenging marriage, the result of a high school pregnancy and shotgun wedding, Dellarobia discovers the miraculous sight, which appears, without her glasses, as if the trees are afire. Because of family financial hardships, her father-in-law (Bear to her husband's Cub) plans to sell off the stand of timber to a logging company. The members of the family's church see the butterflies as a miracle--and Dellarobia as the unlikely conduit of the miracle. As the media gets wind of the story, people begin to come from everywhere to view the "King Billies," as Dellarobia's mother-in-law Hester calls them. The attention also draws Ovid Byron, a Harvard-educated professor specializing in the monarchs, to Feathertown to study the phenomenon. Kingsolver manages to present the pull between science and religion without drawing fighting lines. She does weave in social commentary on the result of low educational standards. 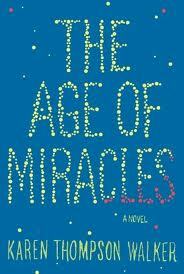 Although I haven't researched to see, I would imagine that Age of Miracles might be considered Young Adult (YA) literature, since the narrator is a 12-year-old girl, in spite of a few so-called "adult" language or situations. The story opens one morning when the top news story concerns what will eventually be known as "the slowing": for some inexplicable reason, the world has begun to turn more slowly, resulting in lengthening days. At first the changes are slight, with minor consequences. Schools wait until sunrise to announce school start times, for example. Eventually, though, as the change takes its toll on human life, major world leaders agree that everyone should return to "clock time," regardless of the light or darkness. Eventually the change has more far-reaching effects. Like canaries in the mines, the birds are first to be affected. Eventually, though, vegetation is harmed by abnormal light cycles, and sun exposure poses health risks. Julia, the narrator, has to deal with this bizarre turn of events while navigating broken friendships, first love, parental marriage problems, and an aging grandfather. When some people rebel and refuse to live on clock time, opting instead for "real time," the us-versus-them mentality sometimes becomes ugly. The author never reveals a cause for the slowing, but the account of the far-reaching effects of small natural changes was handled brilliantly. Walker also develops in her protagonist an engaging young girl capable of keeping the interest of much older readers. Her realistic accounts of middle school dynamics ring true, accounting for as much of the plot interest as the slowing itself. While the two books were otherwise quite different in style, plot, and theme, I enjoyed my vicarious foray into alternate worlds. I still look forward to a little literary escape in my next read. The last book I read in 2012 was also one of the most fascinating. The book sat on my bookshelf for awhile--one of Lemuria Bookstore's First Editions Club selections. Over and over, though, people kept recommending the book, so I took them at their word. Adam Johnson's novel places readers in recent day North Korea--before the death of Kim Jong Il. 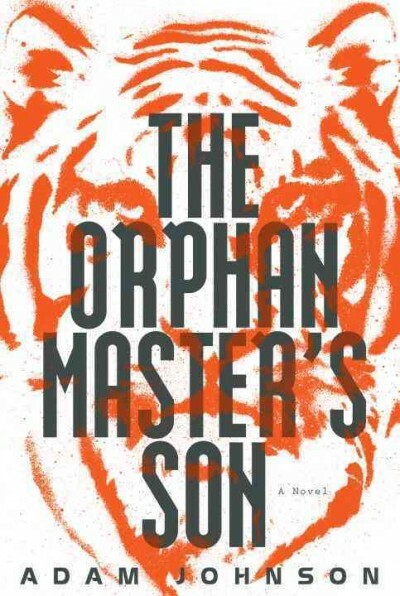 The title character Pak Jun Do was raised among orphans by his father, the "orphan master," after his mother, a reputedly beautiful singer was taken away to the capital. His status is no higher than the true orphans, so he is taken to work in the dark mines. His ability to survive and even to excel working in the dark is significant throughout the novel. Early on, it leads to his being moved to other positions, working for the North Korean government on a boat fronting as a fishing boat, kidnapping Japanese citizens. During the long hours he spends working on the ship, listening to his radio, he is fascinated by the story of two American women rowing around the world--one rowing in the day, the other at night. Most disturbing throughout the story is the government's tendency to take people from whatever they are doing, giving them no option but to accept whatever assignment awaits. Often when the official vehicle arrives, the citizens suspect they are being taken to their death. Woven through the book, between accounts of Jun Do's experiences is the first person account of an official "biographer"--an idealistic young North Korean who records the stories of prisoners experiencing torture and eventual assassination. Living in an upper-floor apartment with his blind parents, he seems to need to deceive himself to keep doing the job he does. Other chapters present the voice broadcasting into the loud speakers in every North Korean home, the constant stream of propaganda fed by the "Dear Leader" to his "Comrades." The most fascinating turn comes when Jun Do is conscripted, because of his language skills, for an official trip to the United States--Texas, to be exact--to negotiate for the return of North Korean property. While the visitors decide to interpret their experiences, once they return from the less-than-successful mission, as an exercise in humiliation (They were forced to eat with their bare hands--their spin on a good old fashion cookout), Jun Do encounters an American woman who makes a continued impact on his life. Jun Do manages to use his unvoiced awareness of the need to maintain a good front, usually at the expense of the truth, allows him eventually to assume the identity of General Ga, a former hero, now out of favor with Kim Jung Il because of his arrogant unwillingness to bow, married to the foremost national actress. Not only did I genuinely care about the characters, but I learned a lot along the way about a country that remains shrouded in mystery. 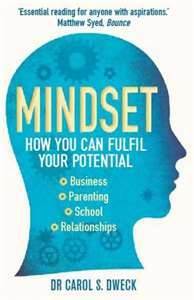 Of all the books I read during the Christmas holidays, none has crawled inside my head like Carol Dweck's book Mindset. My sister told me about the book awhile back, and I finally got around to reading it. Now I keep wanting to recommend it to everyone. I wish I'd read it when my own children were younger (although I think they have growth mindset traits. As a teacher facing a new roster of students this coming Monday, I especially want to integrate what I learned into my teaching. Dweck is a Ph.D. who has researched her topic deeply, but she used a readable style to write this book, not intending it for intellectuals and academics, but for ordinary people. The overall principle is simple: People who follow a fixed mindset believe that abilities are limited. They have a certain amount of intelligence; their abilities have limits. Once they reach that limit, it's necessary to protect one's image and self esteem at all costs. Those with a growth mindset, however, believe that effort produces learning and growth. And--in a true growth mindset--Dweck shows how one can change his or her own mindset and can influence the mindset of others. One experiment she documents illustrates the principles. Elementary ages children in two groups were given puzzles to complete. One group was told, upon completion, how smart they were to have finished the puzzle successfully. The other group was praised for their hard work in finishing the puzzle. As the puzzles grew increasingly difficult, the children in the first group didn't want to continue, assuming they'd reached the limit of their capabilities. The other children wanted more and harder puzzles, asking to bring them home and asking for information about obtaining similar puzzles of their own. In the book, she applies this principle to sports, school, business, and personal relationships with many excellent examples. For example, she contrasts fixed mindset John McEnroe to growth mindset Tiger Woods and Bobby (Throw the Chair) Knight (guess which mindset) to John Wooden. 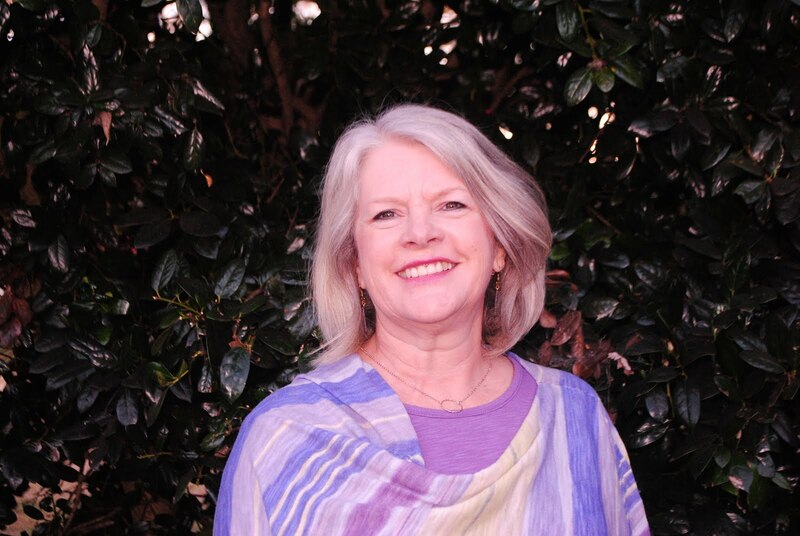 In the end of the book, she also presents scenarios to think through how to internalize the growth mindset and to encourage it in one's children--or students. I am thinking of my own students--college freshmen usually, ranging from 17 to 67. Many--especially some of the younger ones--are intent on taking the easy path. Others--other older students coming to college for the first time, some after completing a GED, lack faith in their own intelligence. My challenge this year will be to encourage growth. I'm reminded of a quotation I used to keep on my classroom wall: There are always two choices, two paths to take; one is easy, and it's only reward is that it's easy.